Wedding bouquets designed by our award-winning florists in New West! Thank you for considering us for your wedding! We look forward to connecting and hearing about your special day, your theme, colour choices, dreams and ideas. We work alongside of you as your partner to create the perfect floral day for you and your entire wedding party. We adore weddings and accept engagements all year including a free consultation, delivery and installation if needed. We love working with Pinterest sharing boards and inspirations to craft your experience. We also understand how important your wedding day is and we love working with flowers that are in season locally and are ethically sourced to keep your costs manageable. 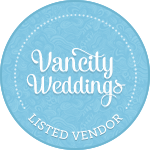 We are a creative boutique which is a sassy way to say that we jump at the chance to make wearables including flower crowns, necklaces, hairpieces and more from living botanicals as well as the more traditional pieces like ceremony arrangements, centerpieces, boutonnieres, bouquets and more in the colour choices you have been dreaming of and pinning. We also offer vase rentals to offer more in the way of blooms than glass wear. Contact us today for availability and we will set up a time for you to stop by to discuss your wedding, ideas, wishes, dreams and will answer any questions you may have. Thank you and we look forward to being part of your amazing day. "Hello - my name is Amita and I got married on Aug 8, 2015 and I just wanted to write to say thank you so much for my wonderful flower arrangements. I absolutely loved my wedding bouquet and also my bridesmaids flowers. I left it in your hands to create something amazing with ideas of what I liked and you nailed it. Without a doubt I would recommend you business to all future brides or anyone looking for flowers. Your unique taste and quality of flowers is amazing and I could not have been more pleased. Thank you so much for you wonderful work and I look forward to using your services again in the near future.